“Newark-on-Trent boasts one of the finest Georgian market squares in the UK and has many wonderful places to stay. Whether you prefer a boutique Hotel, elegant Guest House or a chic Bed and Breakfast, there is a wide choice of hotels in Newark on Trent. 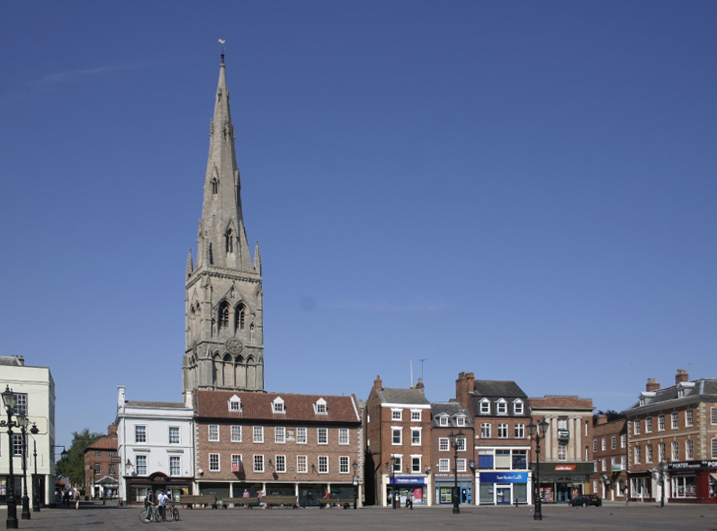 It is a market town steeped in history with a dramatic castle and two museums. Oliver Cromwell fought battles against the Royalists just outside Newark and King John was poisoned and died at the Castle. There are many award winning hotels, B and Bs and Guest houses providing stylish accommodation. It is within easy reach of the Roman City of Lincoln and on the edge of Sherwood Forest – home of Robin Hood. Newark is the perfect base for exploring the heart of England or a stop over en route to the North. You can be sure of great hospitality and charm wherever you choose to stay. Newark has a year-long programme of events – from Continental Markets, Jazz & Food Festivals and Carnivals to Civil War reenactments.